Located in County Leitrim, Selton Hill was the setting for an Irish Republican Army training camp during the Spring of 1921. Commandant Séan Connolly, a staff officer from Republican Headquarters was selected to raise and train, in guerrilla warfare, a number of Flying Columns. 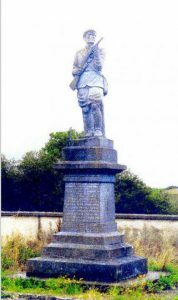 Though originally from County Longford, Connolly was ordered to establish armed resistance units first in County Roscommon and then in County Leitrim. At the same time as giving him the order, Michael Collins warned the officer that it was ‘the most treacherous county in Ireland’. 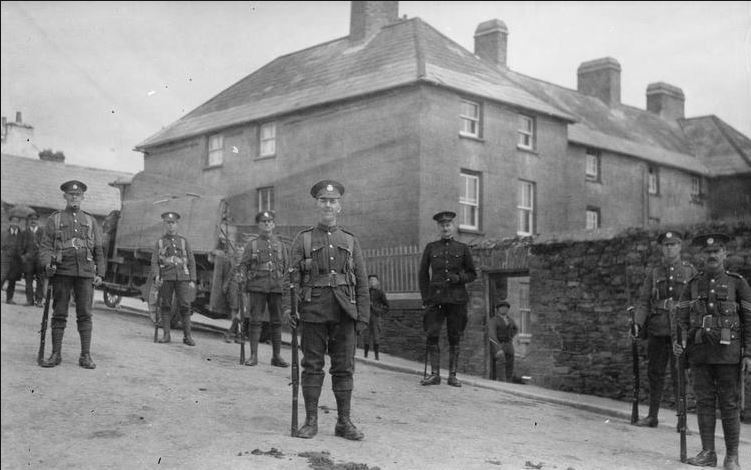 As Commandant Connolly moved out from the cover of the house he was hit by a volley of rifle fire and mortally wounded. Volunteers Seamus Rynn and John O’ Reilly were shot dead as they also tried to escape the torrent of rifle fire. In an attempt to stop the military outflanking their position Captain John Joe O’ Reilly prepared to throw a hand grenade but was shot simultaneously and the grenade exploded in his grasp, blowing off a portion of his head and face. The rear guard in the cottage engaged the machine gunners as they changed magazines on their weapons. However, the automatic fire was so intense that it was decided to make a run for it. Volunteer Andy MacPartland succeeded in running through the gun fire and escaped capture. With the military now advancing on their position, Volunteers Joe Beirne, Michael Baxter and Bernie Sweeney made a desperate break for it. A burst of machine gun fire cut down the group, killing Beirne and Baxter and seriously wounding Sweeney in the groin. As Sweeny tried to stand up, he was hit again in the leg and collapsed into a drainage ditch. Water covered his body and his head was hidden from view by a bunch of rushes. A search of the area failed to locate Sweeney who was later rescued from the ditch by fellow Volunteers and conveyed to Ballyduff where he received medical attention from Dr. Dolan of Ballinamore. 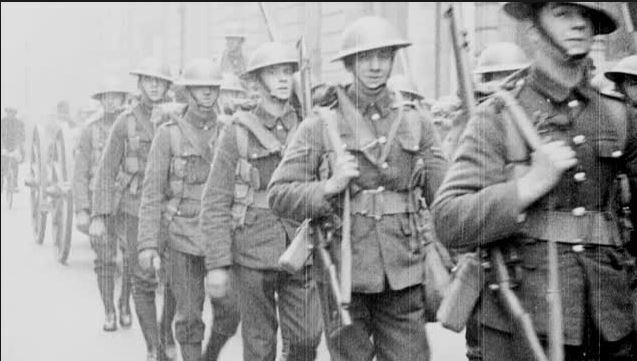 A similar Strike Operation by British Forces was to repeated once again on 8th May 1921 when another training camp based in the Lappanduff Hills in neighboring County Cavan was raided. This operation resulted in the death of one insurgent, the capture of thirteen others and the seizure of a large quantity of arms and ammunition.